On June 7, 2012, four staff members of the International Criminal Court (ICC) including defense counsel, Melinda Taylor, of the Office of Public Counsel for Defense (OPCD) were detained in Libya. Counsel was appointed by the ICC to defend a suspect, Saif Al-Islam Gaddafi, who is the second son of Colonel Gaddafi and whom ICC issued an arrest warrant against after the UN Security Council referred the situation in Libya to the ICC in 2011. Defense counsel and staff members were visiting Libya to meet the suspect as he had been detained there. While it is reported that the grounds of their detention are that counsel tried to deliver to the suspect documents unrelated to the case, according to the ICC, their travel to Libya is to be protected by privileges for ICC duties. The ICC published a statement on June 9 to call on the Libyan government to cooperate for their immediate release. In the background of the detention is the fact that the ICC has requested the Libyan government to transfer the suspect to the ICC in accordance with its arrest warrant, but that the government refused to transfer the suspect, claiming that it would prosecute the suspect through its own justice system. The OPCD of the ICC was established to protect the human rights of suspects in criminal proceedings as interim counsel in situations referred to the ICC and cases in which arrest warrants were issued, until an official counsel is selected for the suspects. 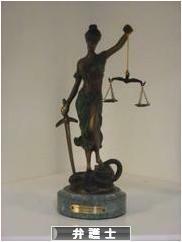 The “Basic Principles on the Role of Lawyers”(1990) adopted by the Eighth Crime Prevention Congress of the UN guarantees lawyers’ activities, providing “[g]overnments shall ensure that lawyers ( a ) are able to perform all of their professional functions without intimidation, hindrance, harassment or improper interference; ( b ) are able to travel and to consult with their clients freely both within their own country and abroad; and ( c ) shall not suffer, or be threatened with, prosecution or administrative, economic or other sanctions for any action taken in accordance with recognized professional duties, standards and ethics.” The detention of counsel for the ICC is not only in clear violation of the Basic Principles, but also creates a serious situation in which human rights advocacy by lawyers becomes impossible. If such situations go untouched, it would be very difficult to perform counsels’ duties to realize fair trials in international criminal proceedings that become more important in the international community. The Japan Federation of Bar Associations, due to the grounds stated above, is deeply concerned about the detention of counsel and staff members of the ICC in Libya, and urges the Libyan government to take measures for their immediate release. At the same time, the JFBA requests the government of Japan, a state party to the ICC Statute and the biggest donor to the ICC, to take actions towards the release of counsel and staff members of the ICC.